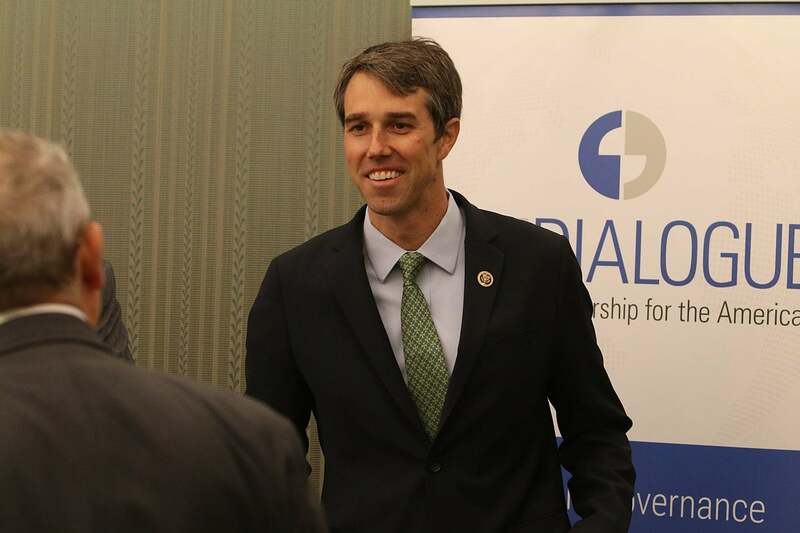 WASHINGTON, D.C. (March 18, 2019) – Many in the media are reporting, sometime with some concern if not alarm, that presidential candidate Beto O’Rourke was a hacker and a member of one of the oldest groups of hackers in the U.S., but a professor who was a hacker 30 years before Beto O’Rourke says it shouldn’t concern voters, and that his own hacking and computer background helped him make several major contributions to society. Just as Beto O’Rourke’s involvement is being portrayed as being simply a rite of passage, public interest law professor John Banzhaf described how he and fellow students at MIT helped each other to hone their technological skills by hacking in the 1950s, long before there were personal computers or the Internet, and how the experience helped him to improve society in several ways. Although Banzhaf is now best known for using legal action as a weapon against smoking and for nonsmokers' rights, and for bringing actions to stop discrimination and protect the environment, his rite of passage as a hacker also proved to be a predicate for some important data processing milestones. Banzhaf says it helped encourage him to establish that computer programs could be protected by copyrights, to publish the first major study of computers and the law, develop a new mathematical computer technique for determining voting power, help reform the U.S. copyright statute to deal with computers and data processing, provide an early warning about the dangers of hackers affecting the 2016 elections, and more. Indeed, according to a recent study, an article Banzhaf wrote about Murphy's law while still a student at MIT - his first legal article, the law professor now jokes - helped encourage many modern coders to use "FOO" and its variants in writing computer programs. According to an upcoming book, "Cult of the Dead Cow: How the Original Hacking Group Might Just Save the World!," Beto O'Rourke's involvement as a member of the hacker group was largely positive, and helped lead to his subsequent involvement with politics. Indeed, Beto O'Rourke's hacking group reportedly coined the term "hacktivism" - the use of technology to promote social change - and O'Rourke himself apparently helped women to join the group, argued with neo-Nazis in chat forums, and avoided the darker aspects of hacking. Indeed, Reuters has reported: "There is no indication that Beto O'Rourke ever engaged in the edgiest sorts of hacking activity, such as breaking into computers or writing code that enabled others to do so." The hacking by Banzhaf and his fellow students was likewise benign; more an attempt to see if and to what extent they could use the technological skills they were acquiring to manipulate their environment than to cause any harm or even embarrassment. For example, MIT students hacked into the world-wide telephone and data transmission systems used by various branches of the Defense Department, into which they obtained unauthorized access from phones in labs at MIT doing research, and providing support for those military facilities. As a result, according to one report, it was not uncommon for a tech savvy student at MIT to phone his girl friend just across the river at Brandeis by way of a very very long distance but free call routed through Alaska, Germany, Saudi Arabia, and then the Panama Canal. Actually using a new skill or newly-acquired knowledge to achieve an interesting result in the real world, rather than just in a university laboratory or as part of a writing assignment, was the underlying idea behind these earlier hacking efforts, and to some extent remains a factor today. Indeed, Banzhaf's earliest legal forays - writing computer programs and then successfully copyrighting them; filing a Fairness Doctrine complaint with the FCC which led to free time for antismoking messages and millions of lives saved, as well as a ban on cigarette commercials; filing a brief amicus curiae using mathematics to have major voting systems rules ruled unconstitutional - have been described by some as legal hacks; more an attempt by a law student to use and test his newfound legal knowledge, rather than a result of a crusading and self-sacrificing ethical crusade of the type then typified by Ralph Nader. Despite the often negative connotations, and the image of nerds living in their parents' basements, hacking isn't necessarily bad or evil, and hackers aren't necessarily antisocial recluses - as Beto O'Rourke, Professor Banzhaf, and many others have demonstrated. Thus, argues Banzhaf, while people should not vote for Beto O'Rourke just because he used to be a hacker - even of the so-called "white hat" type - they also should not hold it against him.